The 'Code of Conduct' series is a set of 30 drawings that deal with the idea of transition and transformation that has taken place in India over the last decade or so. The themes of change, success, aspirations and the effect of Western media, brand consciousness and sudden affluence on Indian society and mores is explored. 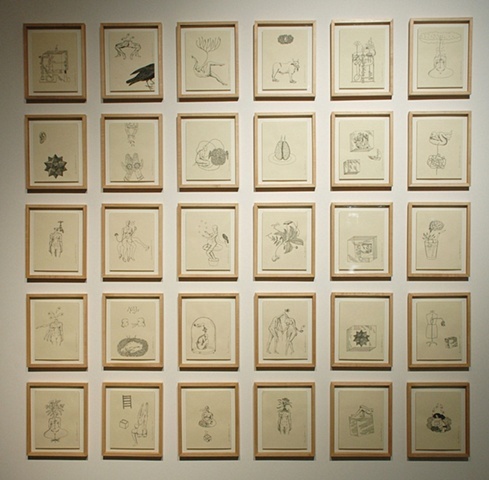 These works were exhibited at Bodhi Art Gallery in Mumbai India in 2007. The exhibition theme was to portray the rise of the "new" Indian middle class and these drawings were a response to that theme.